The Missouri S&T Observatory will open its doors at 8:30 p.m. for the viewing. 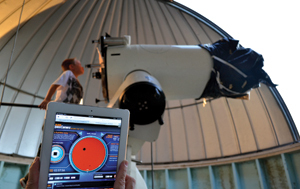 The sky must be clear for observing, and the session length will vary. Mars, the fourth planet from the sun, is the second-smallest planet in our solar system. Named after the Roman god of war, its red appearance is due to large amounts of iron oxide on its surface. This year, the planet has been closest to Earth since 2003. It will not be as near to Earth again until 2035. This is the third viewing of the S&T semester. The next viewing will be held at 8:30 p.m. Saturday, Oct. 13.